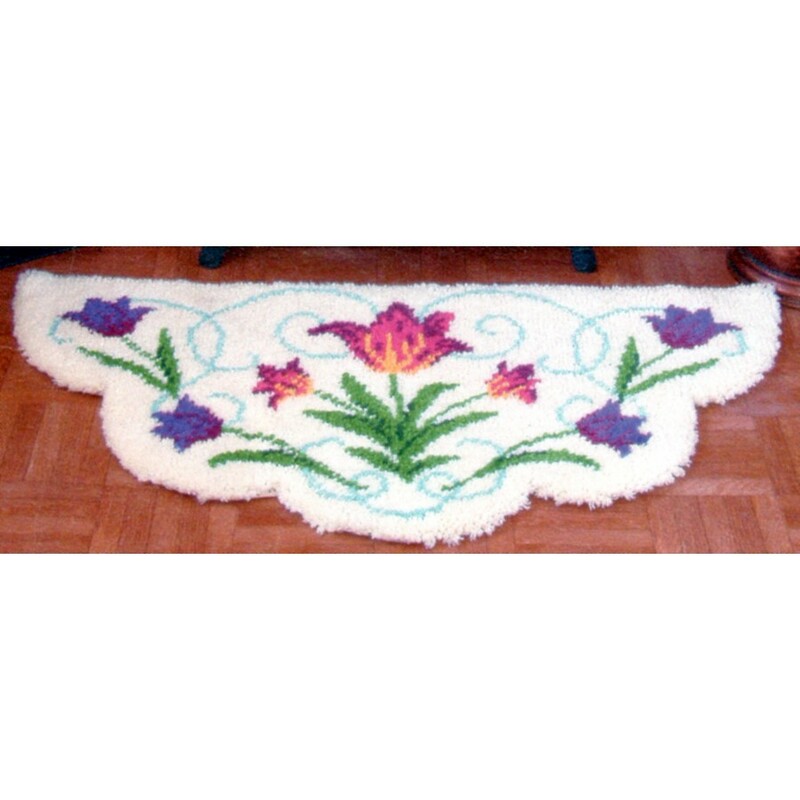 Tulips latch hook rug kit with stencilled canvas in Romney rug wool. 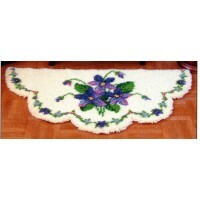 Kit includes painted canvas, cut packs of Romney pure wool, latch hook tool, binding tape, needles and instructions. Previously sold as a Readicut rug kit.